In addition, various combinations of these hair loss types can also be observed. 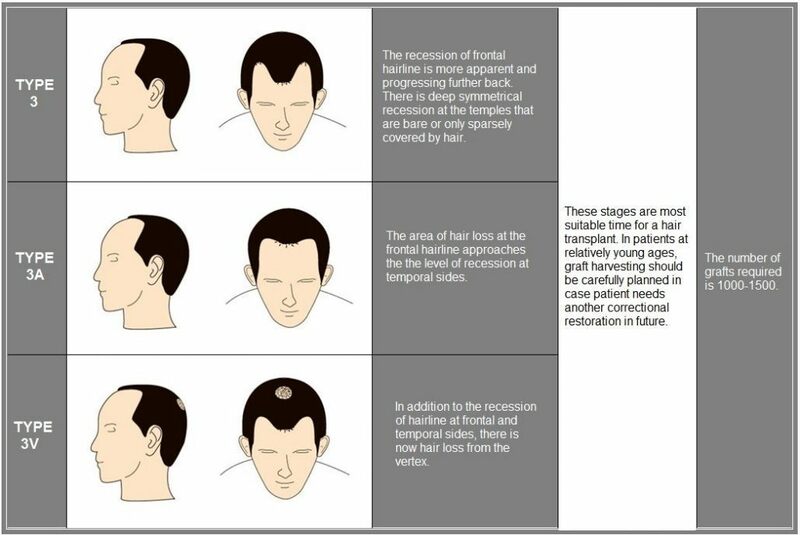 It is very important to determine the severity and level of hair loss to design and plan a successful hair restoration. To that end, various classification systems have been proposed to measure hair loss. The Norwood-Hamilton scale is the most commonly used measurement tool among these classification systems. The following images and descriptions attempt to explain this scale. Based on this classification, you can have an idea about the extent and level of your hair loss. However, an experienced professional should examine it to classify the exact type of your hair loss.